Young Sounds of Arizona 2017 Guest Artist Program, a Big Success! 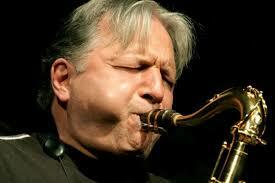 This May, Young Sounds was fortunate to have renowned tenor saxophonist Jerry Bergonzi join us for our Guest Artist Program! Mr. Bergonzi’s career has spanned more than four decades. He studied at Lowell University, toured the world with The Dave Brubeck Quartet and actively records, performs and teaches master classes. In addition, he has been teaching improvisation to instrumentalists and vocalists at the New England Conservatory of Music since 1995. Our students were thrilled to have the opportunity to work with him!